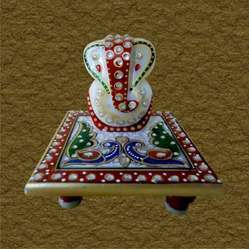 Offering you a complete choice of products which include marble ganesh chowki and chowki ganesh. These statues are appreciated among the clients across the globe for its supreme quality and long lasting features. Our comprehensive range of statues is available in varied ranges at nominal prices. Designed by a team of highly experienced people, these statues are known for their elegant designs and smooth finishing. 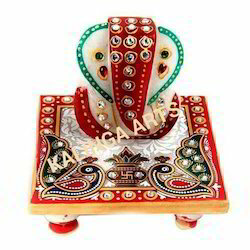 We are engaged in offering a wide range of Chowki Ganesh to our clients.